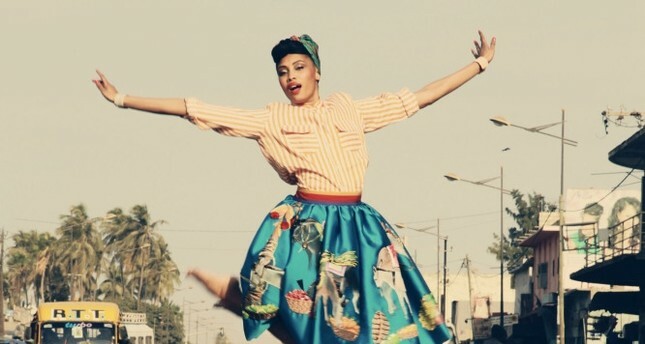 French singer Imany, who gained worldwide following with her album "The Wrong Kind of War," will perform at Istanbul's Volkswagen Arena on May 12. One of the most important names in the contemporary jazz, soul and funk music scene, Imany has been likened to Nina Simone and Tracy Chapman. Her debut album, "Shape of a Broken Heart," went platinum in three countries while her compositions for the movie "French Women" reached more than 1.5 million viewers. In his music, Imany touches on various subjects like love, women's rights, climate change and political struggles around the world. Her EP that included the song "There Were Tears" was released in 2016 and was followed by her album "The Wrong Kind of War." Previously she performed at the 26th Akbank Jazz Festival in Turkey. In one of her performances, she got off the stage and sang along with fans without a microphone, giving her fans a unique, once-in-a-lifetime experience. This time she will be performing at the Volkswagen Arena, which has previously hosted named like Dream Theater, Emma Shapplin, Anathema, Pink Martini, Duman, Pentagram, Kardeş Türküler, FT Island, Oscar and the Wolf, Goran Bregovic, the Pixies, Travis, Blondie, Jack White, Morissey, Hozier, and Bonobo.